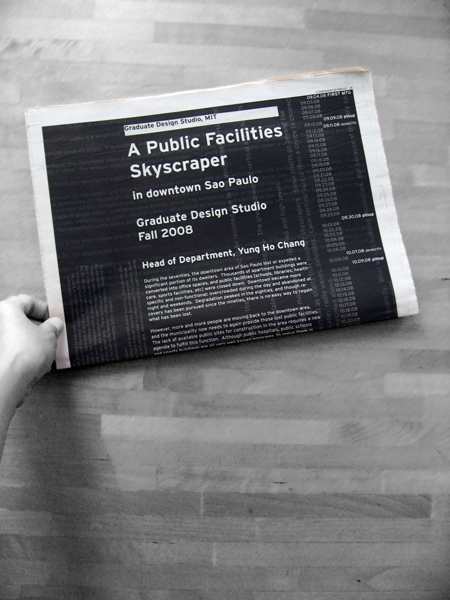 This newspaper showcased the work of the Fall 2008 graduate design studio taught by Angelo Bucci, "A Public Facilities Skyscraper in Downtown Sao Paulo". 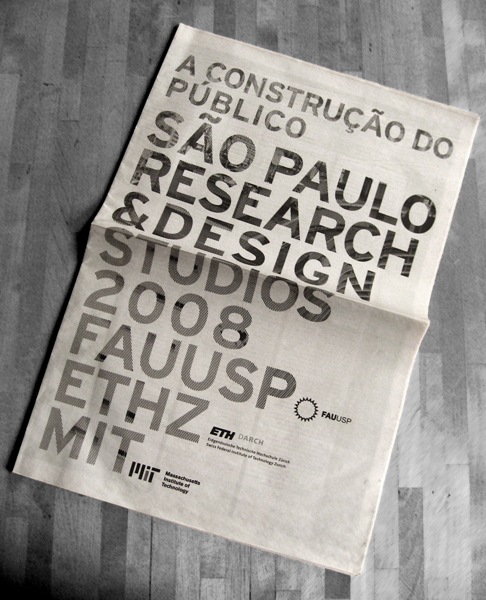 The publication was an effort to bring together the work of three studios that had all tackled the same design challenge: FAUUSP (University of Sao Paulo School of Architecture and Urbanism), ETH Zurich School of Architecture, and MIT. 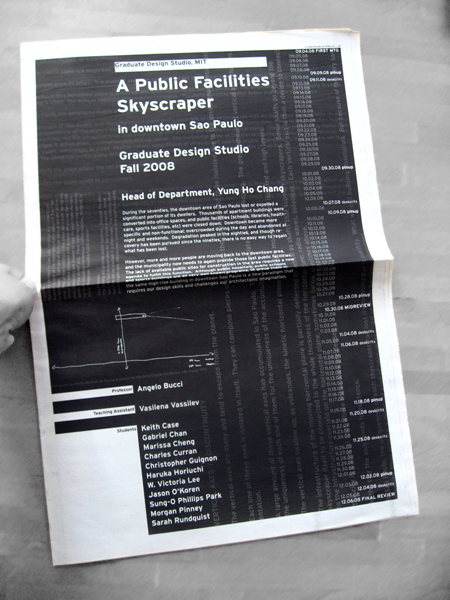 This newspaper was headed by ETH Zurich's Rainer Hehl and Udo Thonnissen, and funded by ETH Zurich. Newspaper graphic design and layout with Christopher Guignon and Morgan Pinney. Cover page of MIT section.